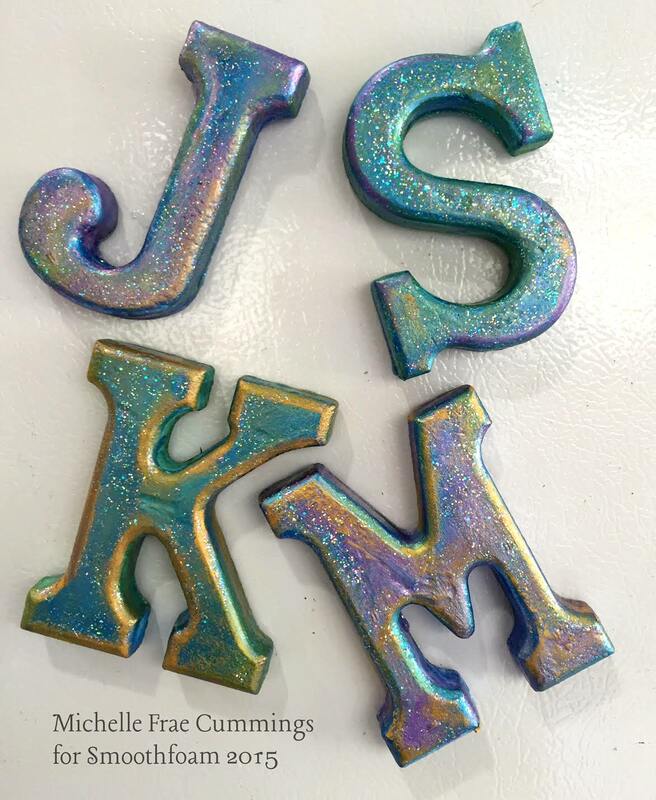 I really love how these monogram magnets turned out! 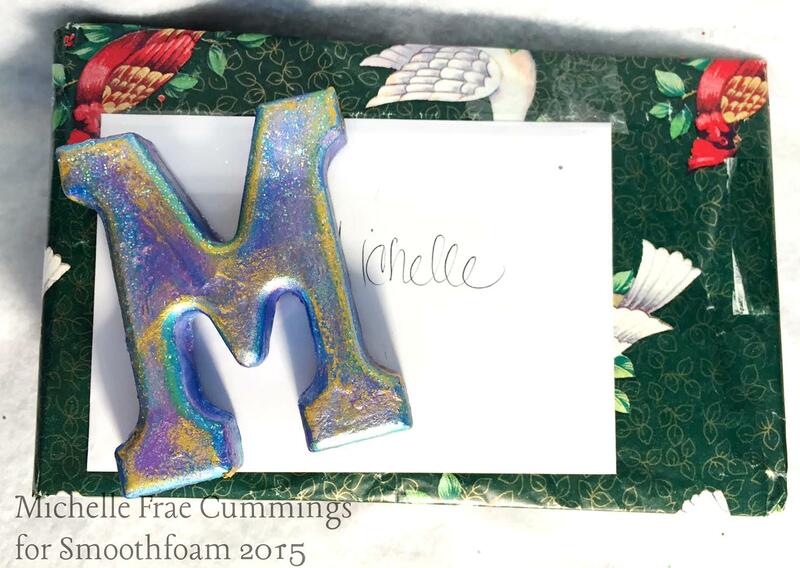 Smoothfoam letters make perfect gifts, stocking stuffers or present-toppers that can be used all year long to hold precious memories and reminders on any metal surface! Paint your letters front and back with the craft paint. When dry, add some glitter paint. When the letters have completely dried, glue your magnets to the back. Package each letter in a cute treat bag! This entry was posted in General Crafts and tagged Letters, Metallic, Sign by Michelle Frae Cummings. Bookmark the permalink. I’d LOVE to get my initials for ANY occasion! !